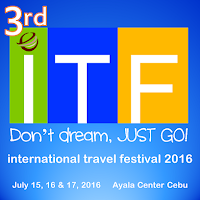 Last July 15, 16 and 17, 2016, The Third International Travel Festival was held in Ayala, It is my second time to attend the event and same as last year; I had my hands full of brochures and flyers for an Asian Trip this year with my friends. While I was checking each booth, I noticed three of the booths. They Made a set-up on their booth, among these three, only one had actually captured the attention that I have to go back three times to check if it was really good. 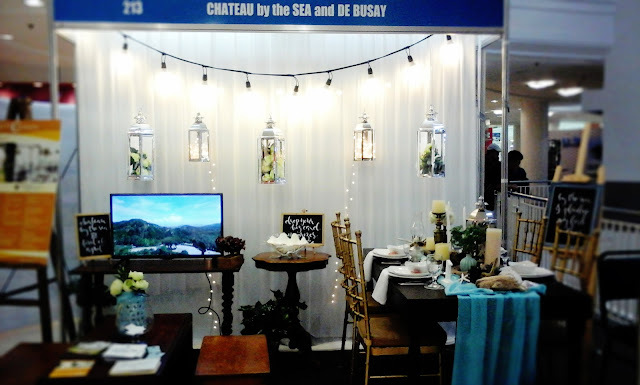 The booth I'm talking about was the booth of Chateau by the Sea and de Busay, located nearby an escalator at the time of the event. 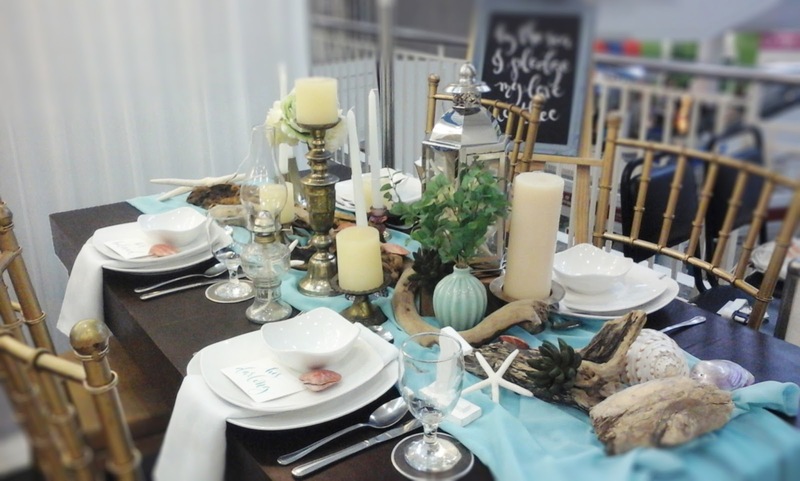 The set-up was for Chateau by the Sea and it made me want to go there for dinner. It was their hanging chrome lights that got my attention and Next, was how they make use of the area to set up in such a small space. 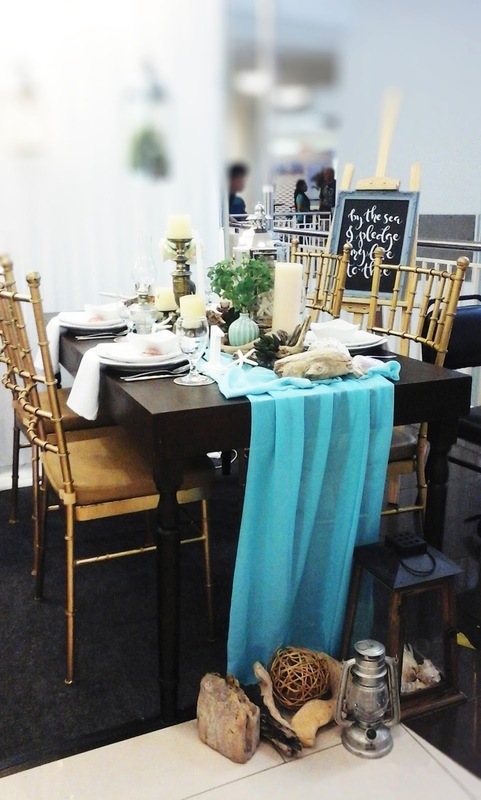 Their Table set-up is just gorgeous. You can feel the breezy feeling and the color of the sea draped towards the ground. Its centerpieces are well tailored for the Chateau by the sea. What a picture perfect dinner with family or friends. If you want to check Château by the sea, contact them at this no. 032-517-2000. Next year, I'll probably check out the event for another inspiration.